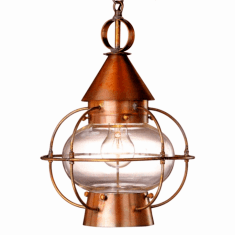 Warm, glowing onion lanterns have been welcoming Americans home for nearly a century, but these lighting fixtures began life in the early 1800s as work lights on fishing vessels. 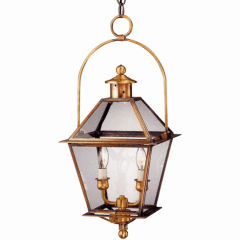 Named for their bulbous, onion-shaped glass globes, which shielded a whale-oil flame from wind, rain, and sea spray, these lanterns usually also included a cage to protect the glass globe from breakage. 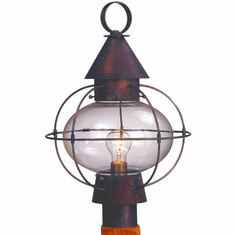 A loop handle on top made onion lanterns a portable light source that could be hung on the wall with a wooden peg. 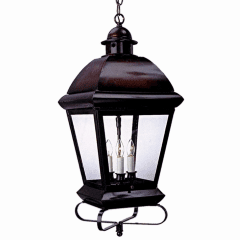 These days the whale oil has been replaced by electric light and that old peg is now a mounting plate, often decorated with a bracket, hook or scroll. 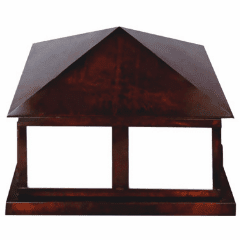 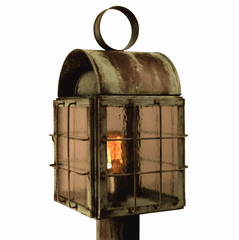 And instead of the original tin, we now make them in solid brass or copper to prevent rust and corrosion. 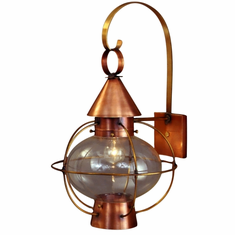 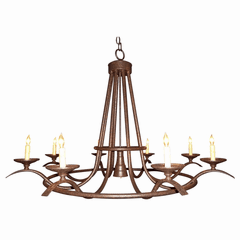 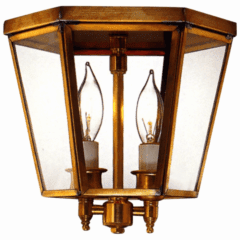 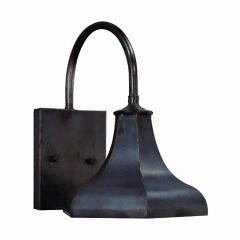 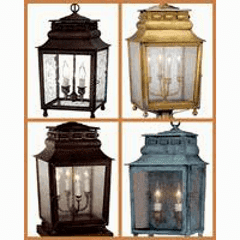 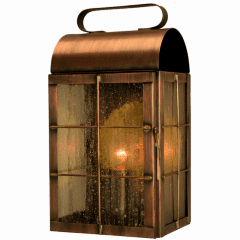 The Cape Cod Onion Copper Lantern Collection, made in America from the highest quality brass and copper for maximum strength and durability, is available in wall light, pendant, post light and pier-base versions in a variety of size, finish and glass options to suit any location.